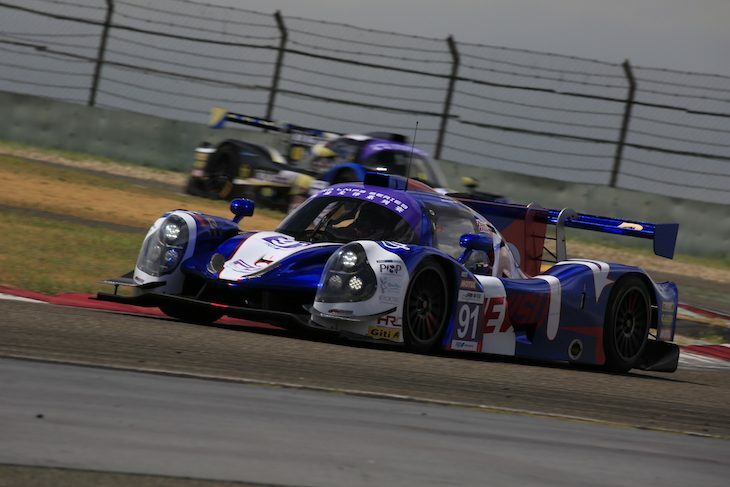 The second round of the newly created FRD LMP3 Series got underway at the Shanghai International Circuit on the weekend of July 28/29. 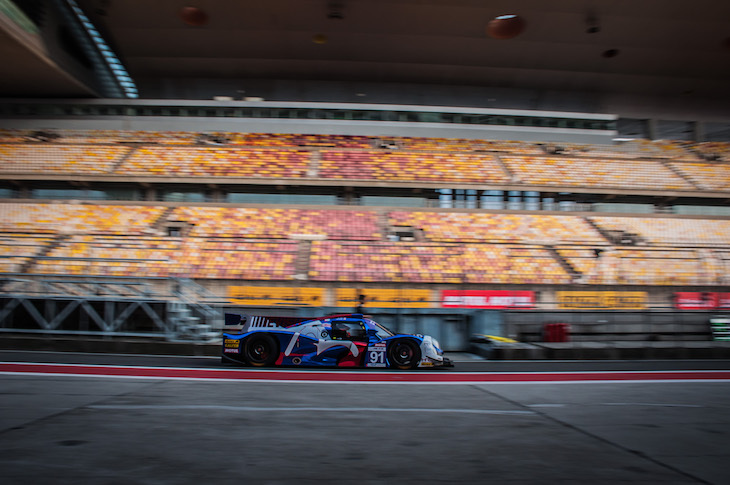 Only a relatively short journey away from the previous round’s location Zhejiang, in Hangzhou, it was a world away in terms of driver experience, finally being able to open up the Ligier JSP3 on a big circuit was a joy compared to the 2nd and 3rd gear mickey-mouse corners of Round 1. Drivers the world over will tell you that a fast and flowing track is generally more rewarding than stop-start nature of the smaller circuits. Shanghai, designed by Tilke, is one of his more enjoyable tracks. The completely unique turns 1-3 really test driver skill, car balance and sets you up for a mega lap which also contains one of the longest straights before the hairpin at turn 14. 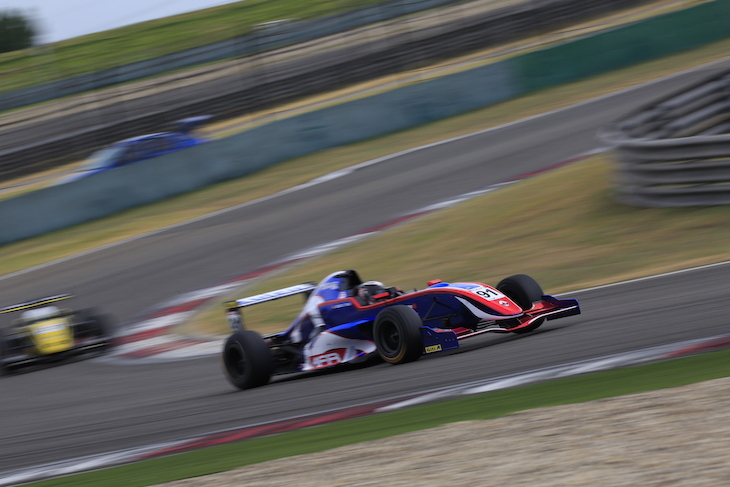 I was happy to be racing here for entirely selfish reasons that I’ve had a lot of success there in the past, and was pleased to see an improvement in performance for the EVISU-backed Eurasia Motorsport car where we finished the practice sessions 4th fastest. With the championship in its infancy, it was also good to get to a circuit which is of course hugely experienced in running race events and with the ability to hold a great number of fans in the grandstand. 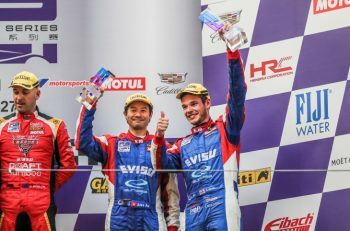 Prototype racing is exceptionally new for Chinese fans, so the organisers, promoters, teams and drivers need to do a good job to communicate with them as to how the race works, the arrangement for pitstops, driver gradings, what they mean and how they affect the race, and the two driver per car setup. Even so, we had a great turnout in support on the Sunday which was great to see and credit to the organiser for managing this. Qualifying for the Main Race took place in pretty tricky conditions, a brief shower before hand saw parts of the track being dry, and others being near or even full wet conditions. As it turned out, lap one was the best overall and this meant I fell just 0.1s shy of the front row starting spot I had been eyeing, but 4th overall was an improvement for us so I was happy given that those sessions can be tricky to read and you can be hero or zero very quickly! The experienced Mathias Beche took the pole for the Main race in the Lightning McQueen liveried Craft Bamboo Racing car. It is really important to see the CBR team bringing many executives, staff and guests from Disney to the race. Motorsport needs more companies to come in and take advantage of racing as a marketing platform, and this can only be beneficial for the teams, drivers, organisers and fans. Also, just attending a race can inspire a whole generation of people who could take up roles in the industry so it would be good to see this grow in the future. The Main Race took place on Sunday afternoon, and with high temperatures (the mercy was pushing 41 degrees Celsius at some points during the weekend!) 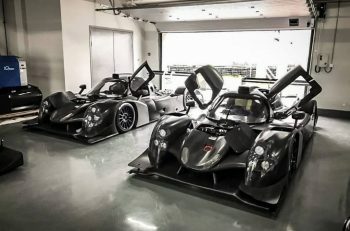 it was certainly going to be a test for the drivers in the closed cockpit LMP3 machines. The level of this category is very high and any mistake you make will likely be punished quickly, so you have to be on form every second you are in the car. Rolling starts are something which are relatively new for me (having only done one previous to this category in the Audi R8 LMS Cup) but it is pretty fun and I managed to make a move to get up to the Top 3 places around the outside of Turn One on the first lap. In for the first stint was Beche, Evans, myself, Cao, LMP1 driver Marco Bonanomi and more snapping at our heels. Without a decent pace advantage it is hard to overtake around here as the slipstream is not worth much, while you suffer with the turbulent hot air off the car in front which affects your balance and car temperatures. But this does mean you have to drive the car you have to the maximum everywhere which makes for a fun race. The pitstop times are decided by your driver pairing, for example, Platinum with Silver gets 30 seconds longer than a bronze-bronze combo, silver-silver with 10 seconds less than Platinum Silver but 20 seconds more than Silver-Bronze. Thankfully, my Silver teammate who has thus far struggled to adapt to the car managed an improved performance and brought the EVISU car home in 6th place, just 3 tenths shy of 5th place. The FRD LMP3 Series broadcasts the race live on their Facebook page (in addition to TV Broadcasts in China) so I’d highly recommend taking a look for the next event, although English commentary will hopefully be an option soon! The standard of drivers is high and the racing is good to watch so it would be good to see some DSC fans taking a look for the future. Motorsport as a whole in Asia is really coming on nicely, more and more drivers are looking to Asia as a possible career route (either via the Asian Formula Renault Series or Formula Masters Championship), the potential for both GT and now Prototype racing is there and with a good hierarchy and prizes for doing well in each series, it makes it more financially viable for drivers to make the move to the next level. In addition, we have the Formula E race in Hong Kong which has also just been announced as a double header for the opening of the 2017/18 season on December 2nd and 3rd. Bringing motorsport to the city is a great achievement and will only support the growth of interest from both fans and potential sponsors. I will once more be providing the commentary trackside alongside Fox Sports’ Daniel Chan so if you are planning a trip to Asia this winter, be sure to stop off in Hong Kong along the way and say hi! Now it’s time for me to get back to my preparations for the next round of the FRD LMP3 Series but be sure to follow www.facebook.com/danwellsracinguk, @danwellsracing on Instragram, or the FRD LMP3 Series on Facebook to stay up to date!